Lucid Dreaming - How To. Still looking for better logos! This is a website dedicated to Psionics and the metaphysical in general. TB. P. Wiesner and Robert H. Thouless first proposed the term "psi" in 1942 as a more general term to include both extrasensory perception and psychokinesis. 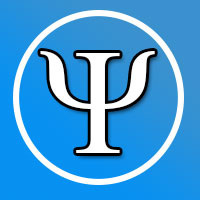 The original terminology proposal divided psi into psi-gamma, for cases of cognition, and psi-kappa, for cases of action. These terms were later modified into "passive psi" and "active psi". In 1952, John W. Campbell proposed the term "psionics", from psi (‘psyche’) and the ending -onics from electronics (machine), which implied that the paranormal powers of the mind could be made to work reliably. Psionics refers to the practice, study, or psychic ability of using the mind to induce paranormal phenomena. Examples of this include telepathy, telekinesis, and other workings of the outside world through the psyche. Apportation - Materialization, disappearance, or teleportation of an object. Aura reading - Perception of the energy fields surrounding people, places, and things. Automatic writing - Writing produced without conscious thought. Astral projection - An out-of-body experience in which an "astral body" becomes separate from the physical body. Bilocation - Being in two places at the same time. Clairvoyance - Perception outside the known human senses. Death-warning - A vision of a living person prior to their death. Divination - Gaining insight into a situation via a ritual. Dowsing - Ability to locate objects. Energy healing - Healing by channelling a form of energy. Faith healing - Diagnosing and curing disease using religious devotion. Mediumship - Communicating with spirits. Precognition, premonition, prescience, precognitive dreams, and second sight - Perception of future events before they happen. Psychic surgery - Removal of diseased body tissue via an incision that heals immediately afterwards. Psychokinesis or telekinesis - Manipulation of matter, space, time or energy. Psychometry - Obtaining information about a person or object. Remote viewing - Gathering of information at a distance. Retrocognition - Perception of past events. Scrying - Use of an item to view events at a distance or in the future. Telepathy, extrasensory perception, and sixth sense - Transfer of thoughts or emotions, especially knowing another person's thoughts. Transvection - Bodily levitation or flying. Placebo effect - is a certain phenomena where the patient experiences reduction of symptoms (patients appear to perceive a reduction and or improvement) and sometimes even considered and scientifically documented as physical improvements.